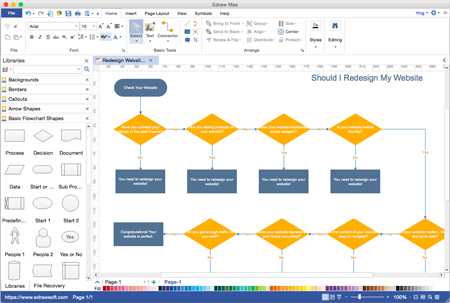 Enjoy a simple, fast and easy to use flowchart Visio alternative for Mac OS. Unlike other online flowchart programs requiring costly monthly or yearly subscription fees, it offers a lifetime license with affordable price. 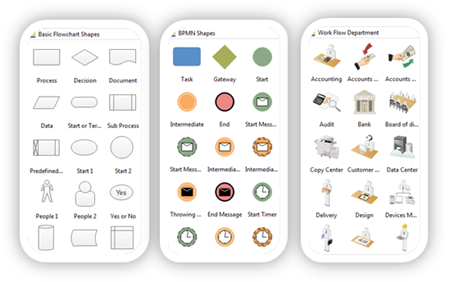 It's embraced as a second to none flowchart desktop program for Mac system, which is extremely popular among users. Our program has included all necessary flowchart symbols in the built-in libraries. The symbols strictly follow the industry standard; however, they are also highly-customizable if you need them to be special. You are allowed to add color, change line styles and apply professional designed quick styles on the symbols. Flowchart examples are sometimes as important as the tutorials and even more intuitive to help users get started. 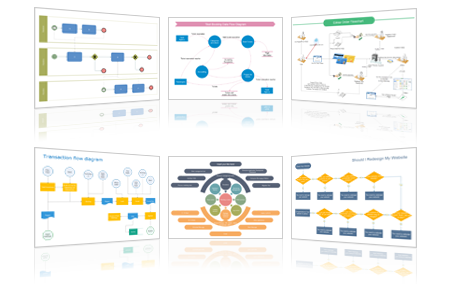 We provides you with a large pack of high-quality flowchart examples, which are created based on real cases. Choose one you are interested in, replace the content with yours and do some minor changes on the template to gain a new flowchart rapidly. 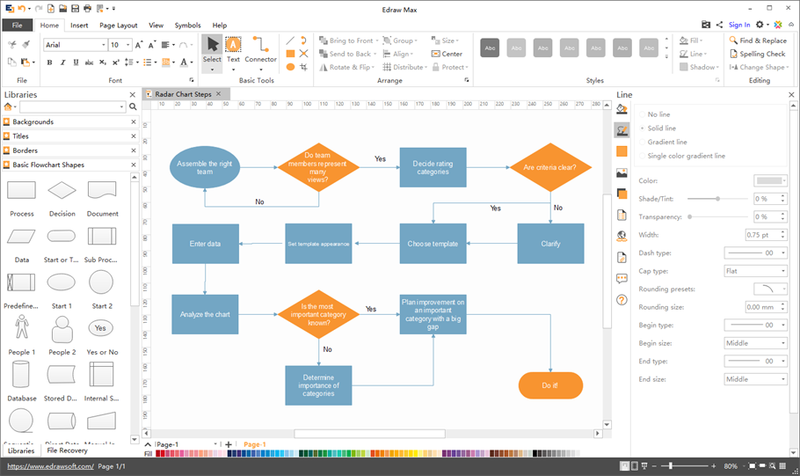 To create a flowchart, Edraw has made its best to simplify the process through pre-made shapes and automatic floating buttons. In fact, you don't necessarily have to draw the shapes and lines with this automatic tool. Everything is smart, simple and straightforward. Your Ultimate Mac Flowchart Software! 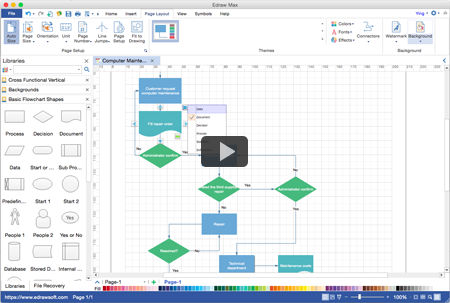 Enjoy creating Flowcharts on Mac and PC with this easy-to-use software. You'll be surprised by its abundant symbols and templates, amazed by how easy it works, and satisfied with the price and service. Try it now!